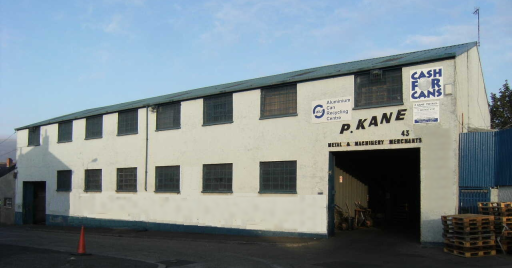 P Kane (Metals) Ltd is a family owned scrap metal recycling business based in Belfast, Northern Ireland with a reputation for personal service. Our premises are fully licenced and we can provide full traceability for all materials recycled, including appropriate waste transfer documentation. Our ethos is based on providing customers with a high quality and personal service at all times. We offer competitive rates for materials meaning that you get the best return on your waste materials. Our facility is open to public and trade customers and materials can be delivered to our facility or collected by prior arrangement. Roll on roll off and traditional skip services are available. We have built an unrivalled reputation in the installation and removal of plant and also in factory clearance projects. Our company is certificated to ISO 9001 (Quality Management), ISO 14001 (Environmental Management) and OHSAS 18001 (Health and Safety Management) standards. We are a Registered Waste Carrier, an Authorised Approved Treatment Facility for WEEE and a member of the British Metal Recycling Association (BMRA). Help or customers to recycle materials in accordance with all relevant laws and regulations. Purchase and sale of plant and machinery e.g. steel and stainless storage tanks, generators etc.